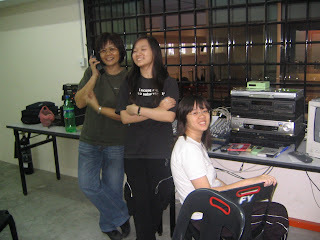 The organizing chairperson Wee Ling directing the stage from the audio and video control room with her 2 beautiful daughters. 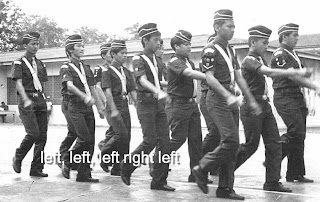 1976 Staff Sergeant Ho Ha Yin – Found! 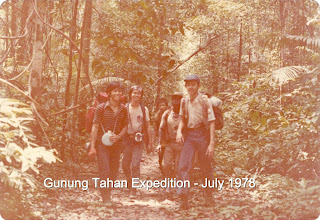 Thank you for keeping in touch after more than 30 years. 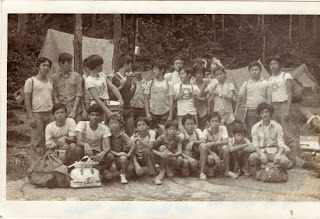 Yes, you are right, Ho Ha Yin was the BB boy you knew maany years ago. I want to be honest with myself, while your name is familiar, I must admit I cannot remember your face. Please forgive me. 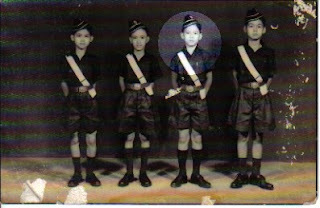 I believe you can remember me as round faced, botak head and fat. 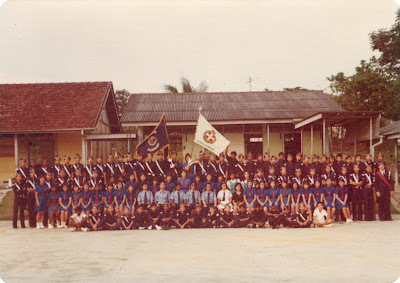 After I left Kulai for England to study, I lost contact with BB until about 7 years ago when a group of interested people started the 1st. 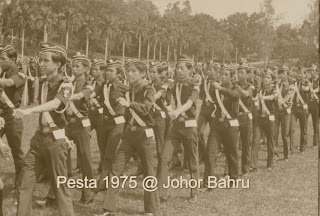 Batu Pahat Company. 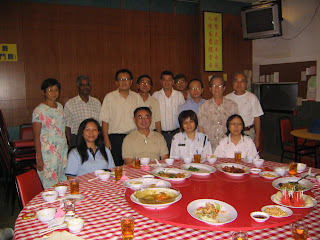 Life in Batu Pahat is very good for me and my family. We live a very simple life. 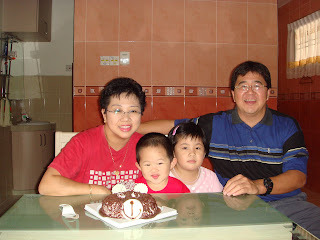 My wife is a school teacher, Sarah is eight yrs old and Samuel is 3 years old. I work as a Human Resource manager in Fujitsu Component for the last 20 years. My address is 5, Jalan Perdana 2/20A, Taman Bukit Perdana, 83000, Batu Pahat. My house phone is 07-4314514. My handphone is 012-7135310. March 3rd. is 1st. 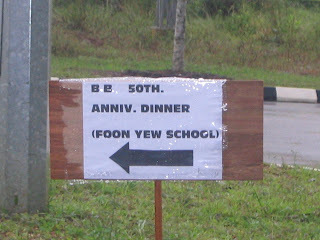 Kulai's 50th. anniversary. Will you join us? 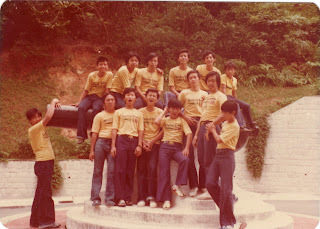 Pictures taken with the juniors in 1979/80? 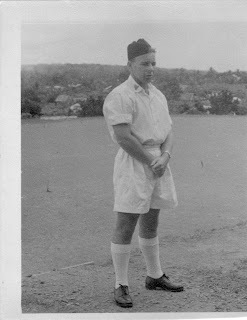 Jimmy Swanston was the founder and 1st Captain of the 1st Kulai BB. 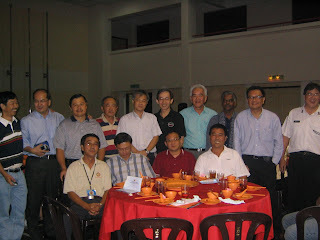 1st Kulai iniitially started as as a Church Youth group prior to the formation of Life Boys(Rev Muthiah) and the BB under Mr. Swanston, I was in the BB with Rajan, Lai Shin, and Kok Ngee who later helped to revive the 1st Kulai as my fellow officers. 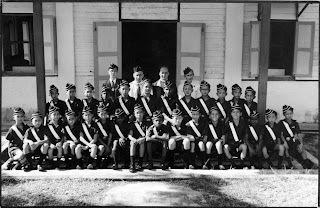 He left after completion of his term as Headmaster of the Kulai English School in the early 60s, we had a temporary officer from JB assisting after Jimmy left. 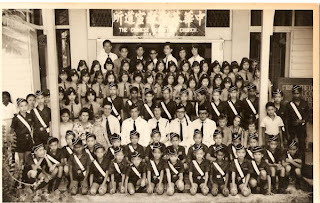 His father was a rubber merchant near "Sin Mui Mui" coffee shop. 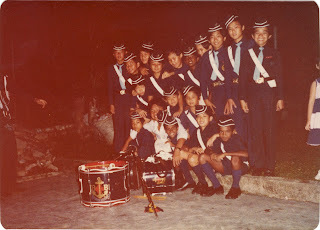 We had a combined camp at the Welfare Centre near the Lido beach in JB . 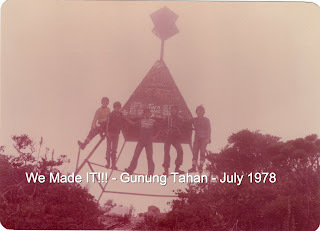 After this there was no one to take up the leadership and subsequently the Company was disbanded. 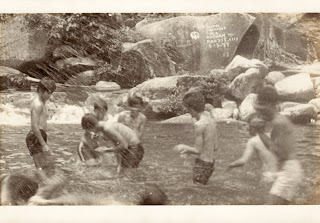 Not sure of the dates. 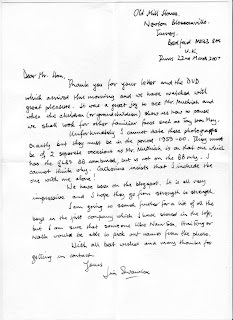 Ms Richards approached me to revive the BB back in 1965 while I was teaching temporarily at the school. 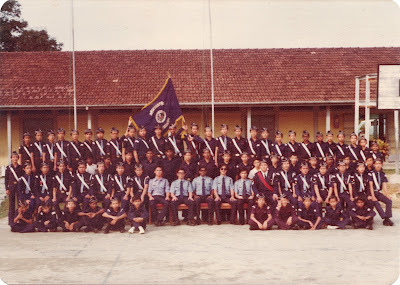 Certainly it was a big difference after having been in my school army cadet at the time of the "Indonesian Confrontation" to running a BB Coy. 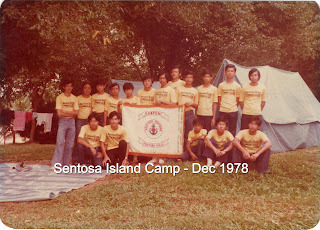 We were camping at Changi area when news of Singapore leaving the Federation of Malaysia came through just as we were about to pack up camp. We did made a quick exit to the Causeway back to Johor. 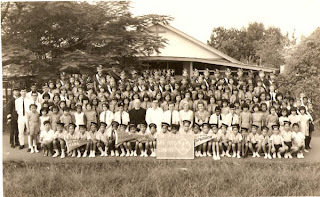 We had a combined Food fair with the GB for the church back in early 1966 before I left for NZ. 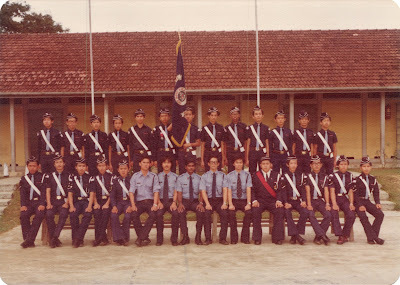 Referring to attached photo, from the left Officer Kong Lai Shing not in uniform), Ms Richards, mysel;f and Rajan(Rev. 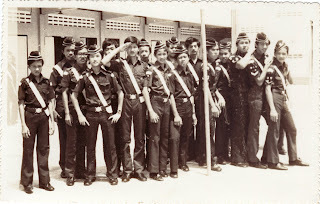 Muthiah's eldest son). Guest of Honour - wife of Johore Tengku. 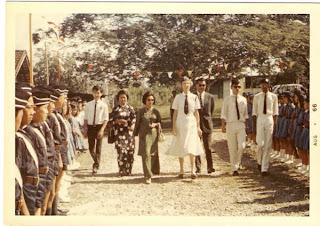 I believe the gentleman beside Ms Richards may had been Kulai D.O. Dr. Abe Rajan may be in KL. 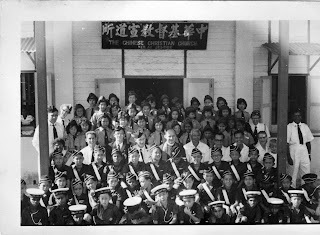 Photo taken on the driveway into the school office next to the old badminton court. 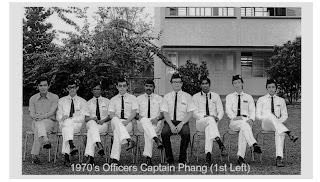 I was involved with the NZ's BB in the early 70s for two years while I was stationed in Petone just outside Wellington. That's another story. 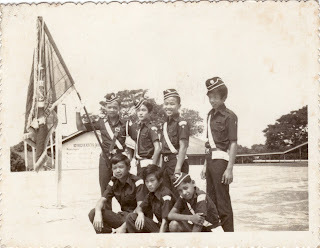 Hope this will give you additional background material on the history of 1st Kulai. That is me, on the right side of Ms Richards. 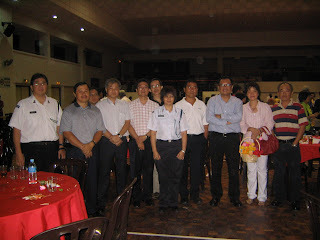 the other two officers next to us were from Singapore(BB office bearers - President?) 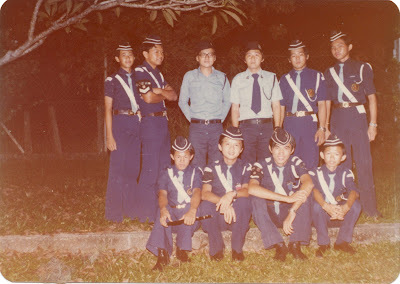 since I did my Officer Training course in Singapore before my commissioning. 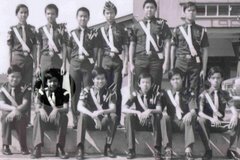 Back row from the left, my first Chaplain, the next person(can't recall his name - became a Life Boys officer, my staff Sergeant, Officers Ong Kok Ngee and Kong Lai Shin. 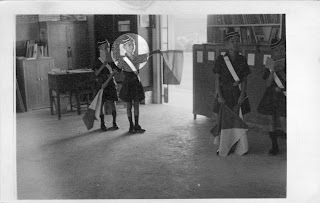 Far right - a GB officer. Can't remember her name. My sister - Mrs KC Tay may be able to fill you in. 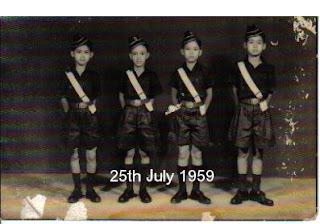 Next to the left post, the youngest of the Chai brothers. 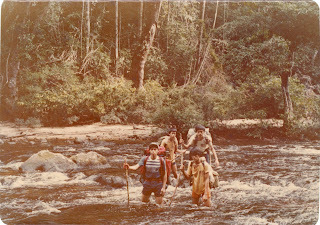 Chandran, Rev Muthiah's son on the far right. Tay Soon Mooi's brother Howard(?) 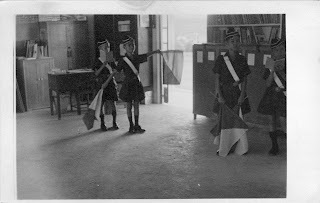 leaning on the RH post, the other brother - second left from the post. 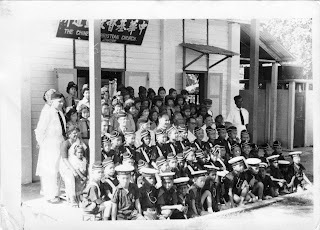 Williams(parents were Chinese school teachers - standing behind Howard. i believe he is now residing in Sydney. 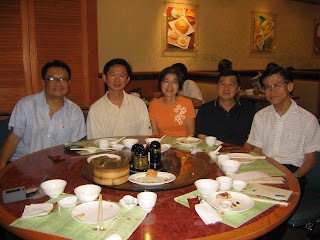 Mr Kam Kok Fong may still be in Subang. 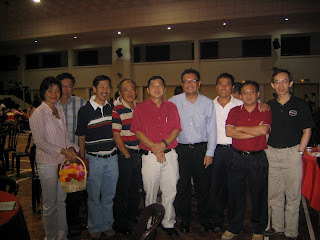 Caught up with him in the late 90 on one of my business trips to Malaysia. 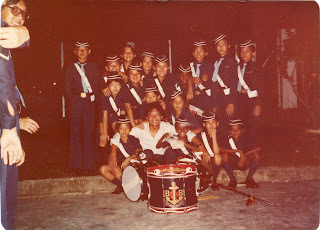 Note: Andrew Hiew is the 1st Captain of 1st Kulai BB and currently residing in Australia. You can reach him at andrew.hiew@hotmail.com.